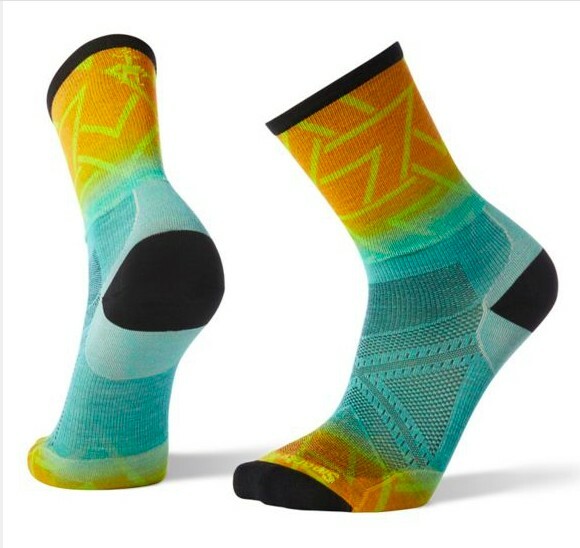 Men's ultra light run crew sock. Say bye to boring, run-of-the-mill running socks. We've brought our proprietary 360° printing technology to our trail-crushing, race-day-worthy run socks—giving you the performance you expect from Smartwool, with a fun little twist. Our PhD® Run Ultra Light Print Crew socks feature Indestructawool™ technology for added durability, Shred Shield™ technology to reduce wear from toes, and body-mapped mesh zones for added breathability.